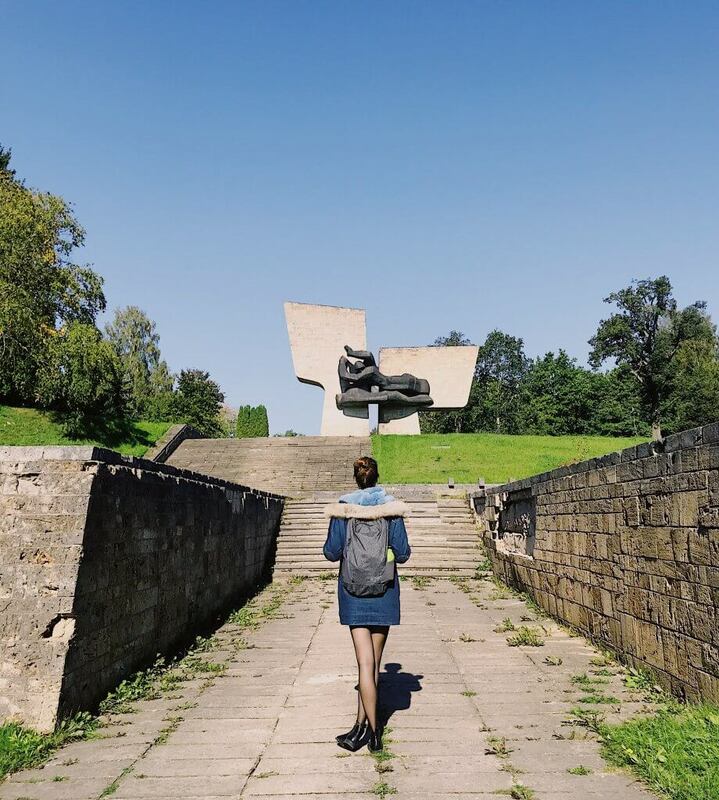 Continuing my series of stories from Latvia….after raving about the peaceful and offbeat charms of Jelgava last week , I have another charming-not-so-well-known-town of Latvia that I’d love to share with you. The name of the town is Valmiera. Valmeira is 62 miles northeast of Riga and lies right beside the river Gauja on the fringes of the Gauja National Park. Just like Jelgava, the town has a relaxed and down to earth vibe which is a nice contrast after the hustle and bustle of Riga. A 2 hour 15 minute ride on the bus, coming here felt like a different world away from Riga. One thing both me and Sabrina really loved about our trip across Latvia was this amazing journey of contrasts and how each town has its own special identity. I honestly had no idea about what Valmiera had to offer. 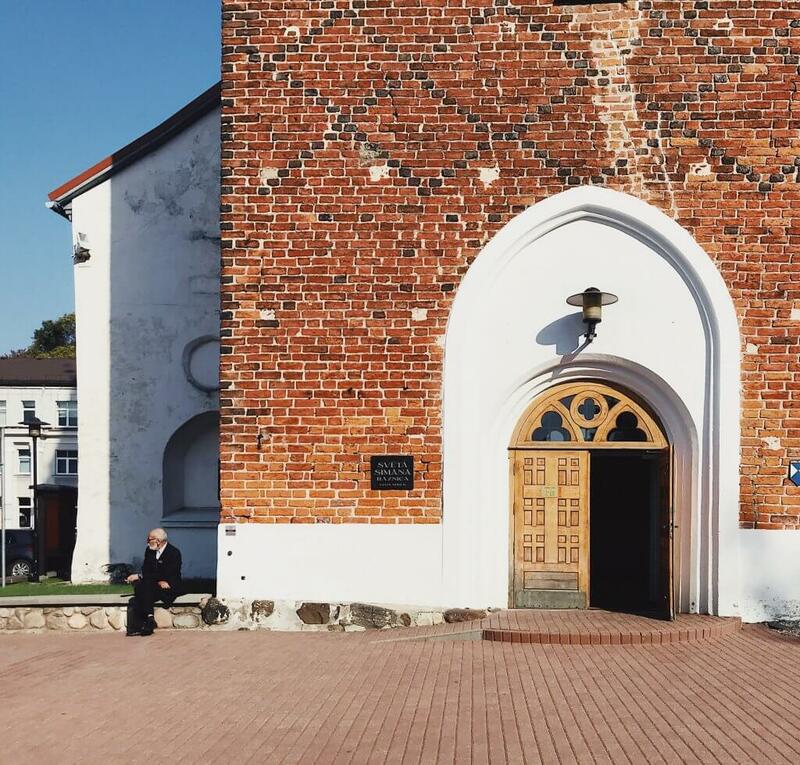 Just like Jelgava, there’s precious little written online and in guidebooks. A quick stroll through the town gives you a instant feeling of zen. Passing through a leafy wooded area close by the river we come across this larger than life monument which I am guessing was a monument towards local soldiers who died in the World War 1? If anyone can enlighten me, please drop me a line. We cross the river and swing by by the local university. The perfect idyllic setting to be a student. I feel a sudden pang of nostalgia and jealousy looking at the students walking out of the university into the mellow autumn sunshine. We cross a modern futuristic bridge and come into view of the town’s beautiful 13th century historic church, St Simon’s , one of the few buildings to survive the brutal destruction of the town. 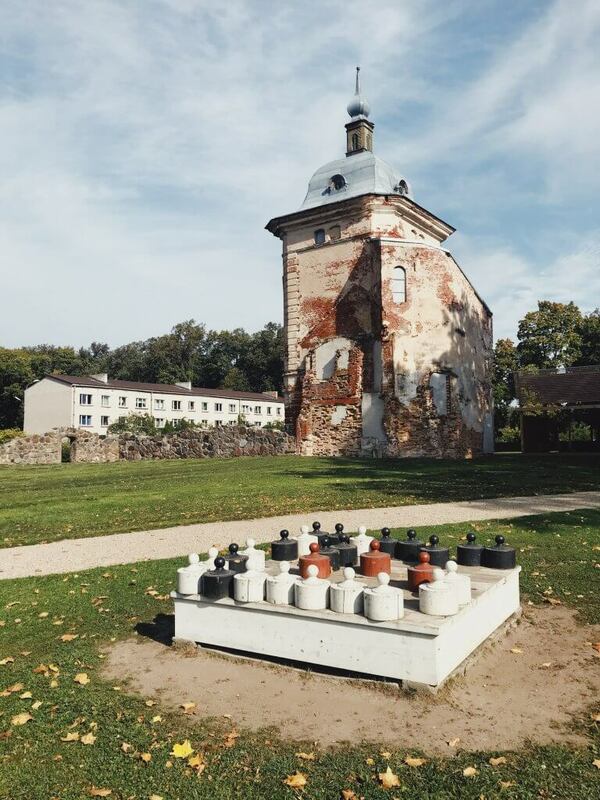 The painful legacy of the war is that the town retained little of the picture postcard charms that other towns in the Gauja National Park possess like neighbouring Cesis. However, as were about to discover, despite its dark history and small size, Valmiera still has a lot to offer tourists. 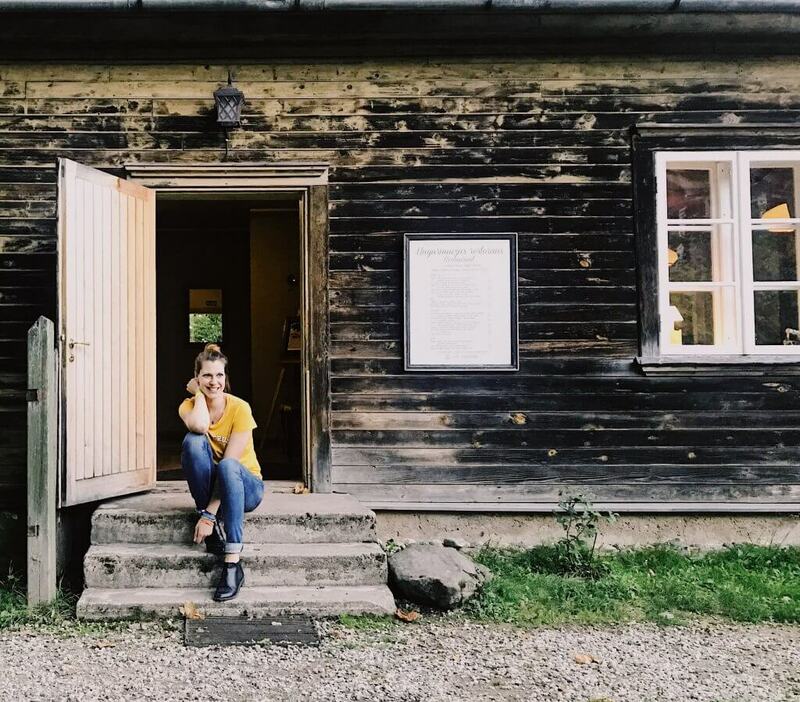 To help us discover the soul of the place, we had enlisted the help of proud Valmieran Ieva Gredzena who is the marketing manager of the popular Park of Senses. We’re stayed the first night at the Park of Senses (Jāņa Daliņa iela 2, Valmiera, LV-4201 ) If you are looking for affordable but basic, clean accommodation-this place works. The real highlight here though is their nature park which offers you a variety of outdoor activities, some relaxing and some a bit of an adrenaline rush , all aimed at challenging your 5 senses. I have never had much of a head for heights. So the prospect of undertaking their ‘Trail of Trees’ where you’re walking (swinging) from tree to tree via a narrow piece of rope or a ropey drawbridge is definitely not for the faint hearted. Ok. Word of reassurance. You are secure with a safety harness attached to an overhanging cable so even if you do lose footing, you’re safe as houses. 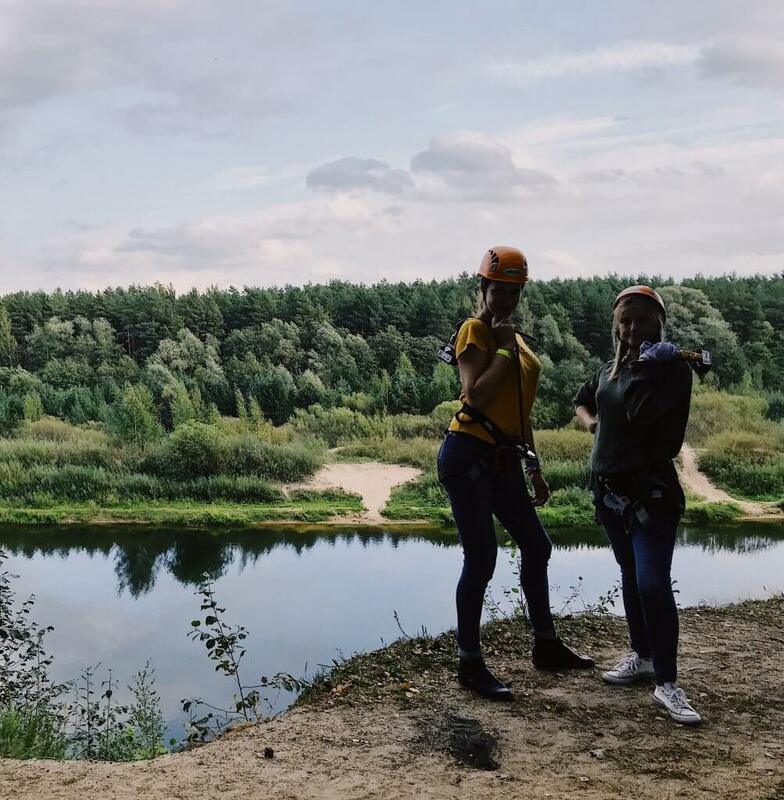 That is not all-to top it all off, the trail has 4 zip lines, the most dramatic being one that spans the entire Gauja river. It looks daunting and I’m a bit hesitant. I remembered the only time zip lined in Storms River and yup, was not too keen then but in the end , it was a lot of a fun. So. I went for it. Was a beautiful moment gliding across the river and appreciating the beautiful wide expanse of the Gauja. I’m glad I did it. The limited amount of time meant we didn’t get a chance to go for the more sedate, relaxed barefoot trail where you can enjoy the different sensations in your feet from pebbles, Valmiera glass fibre’s blue glass marbles, spruce and pine cones, sand, tree-bark mulch, chestnuts and other natural materials…. We next hop to Terbata (Tērbatas iela 2, Valmiera, LV-4201 ) for lunch. 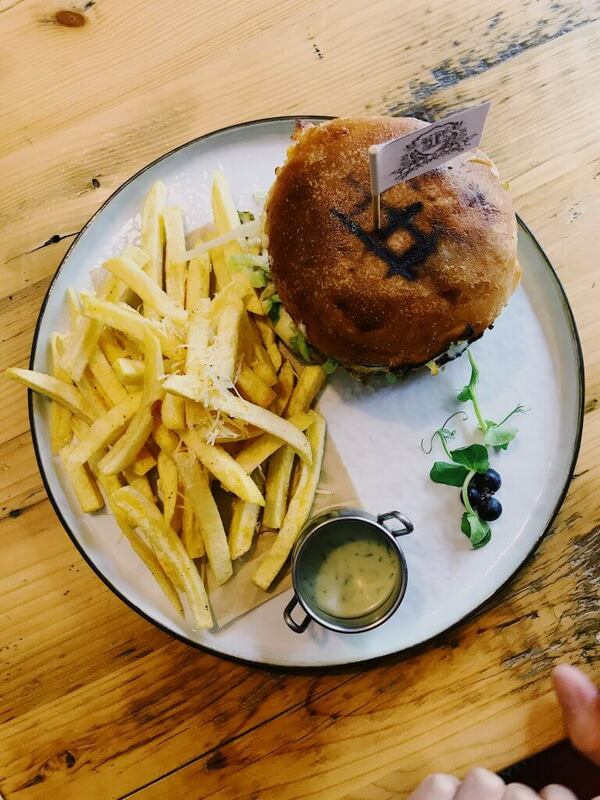 The coffee is fantastic here, the food is well priced and consists of delicious burgers and good mood comfort food , the staff here are super friendly plus very importantly they have excellent taste of music. 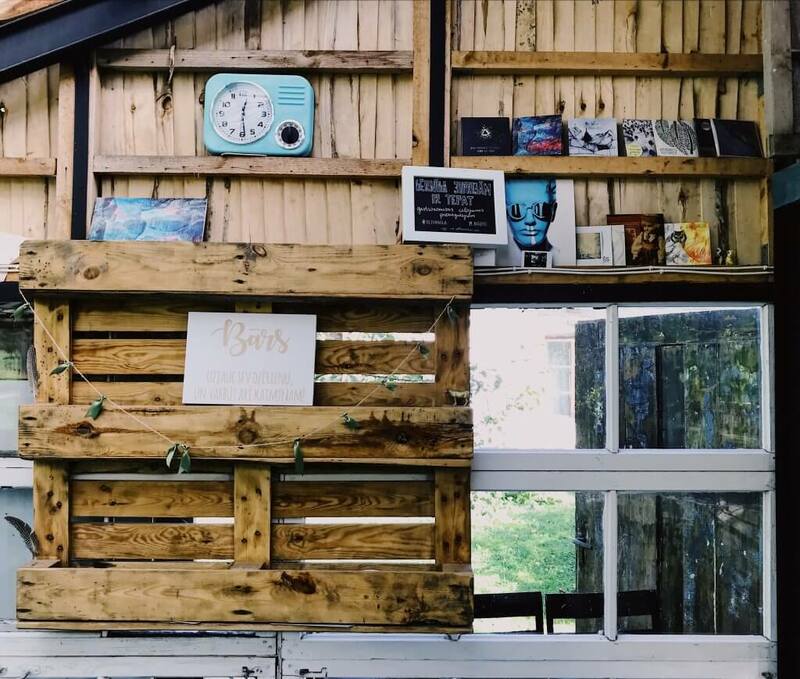 If you’re looking for a cafe to work from with good wifi, light and music, this is the place. 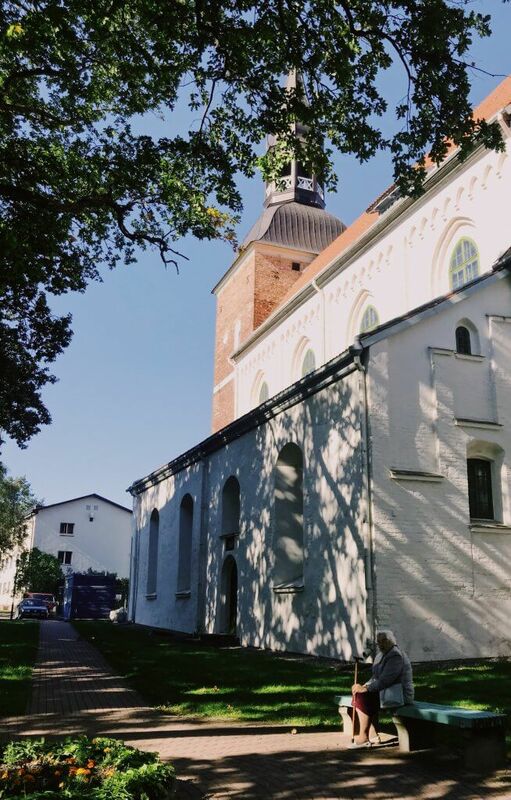 Next stop on our Ieva’s magical mystery tour of Valmiera was Siltumnīca ( Cempu iela, Valmiera, LV-4224 ): a predominantly summer concert venue on the outskirts of Valmiera in the countryside where you can checkout local and international bands , attend exhibitions, craftsmen’s workshops, potter’s workshops or just have a beer, relax in nature and maybe say hello to a squirrel. The founder of the space Pauls Jegers who was luckily good mates with Ieva was kind enough to give us a tour of the venue…which is magical. There were still tons of ripe grapes hanging from the vines in the glasshouse in September and I honestly couldn’t stop eating them. It is one of those places you have to visit to experience it but it was pretty magical. 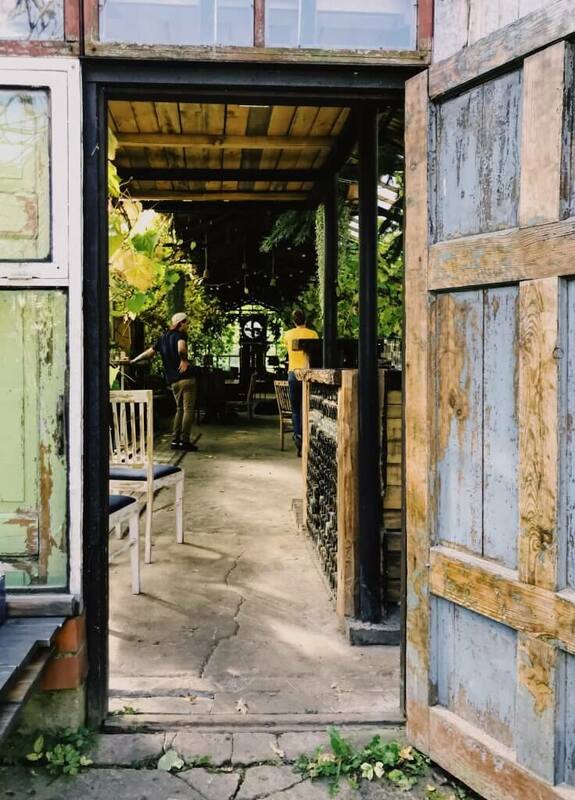 I loved the dreamy old world charm of the place with the worn out leather chairs, vintage lamps and recycled tables … I could see why the place was a popular venue for weddings and photo shoots. There’s a huge grassy expanse outside the glasshouse where there’s a few wooden log cabins-one which houses visiting bands and a smaller one with sauna. There are plans to erect some yurts. If you are visiting in spring/summer, pop by and say hello to Pauls-promise you won’t be disappointed. 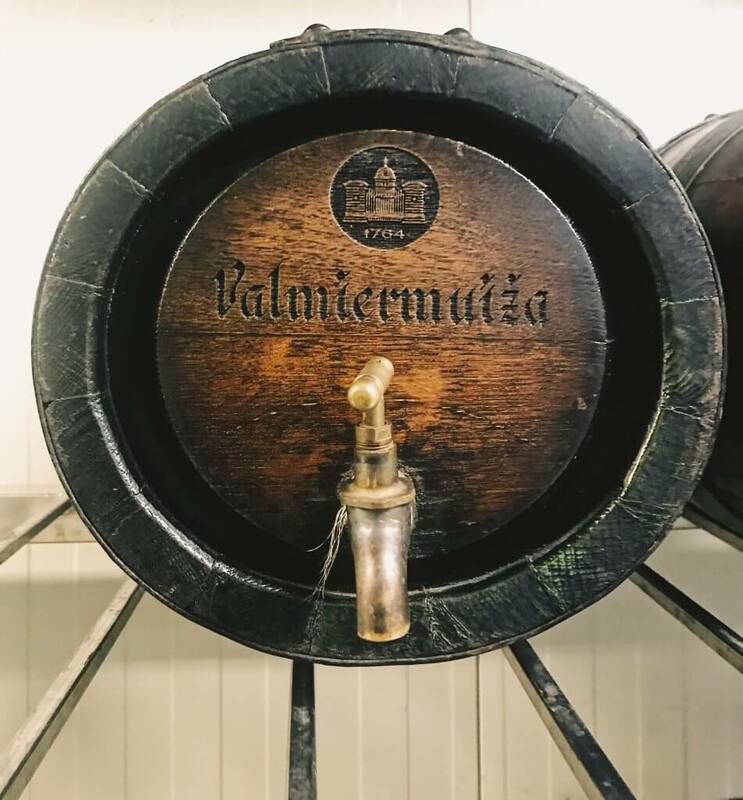 Our next stop: Valmiermuiža Brewery ( Dzirnavu iela 2, Valmiermuiža, Valmieras pagasts, LV-4219 ) is one of Latvia’s biggest gastronomical success stories. On the first day of our trip in Riga we had a brief pitstop at their Beer Embassy In Riga where we were introduced to their fine beers so it remains a sentimental favourite. 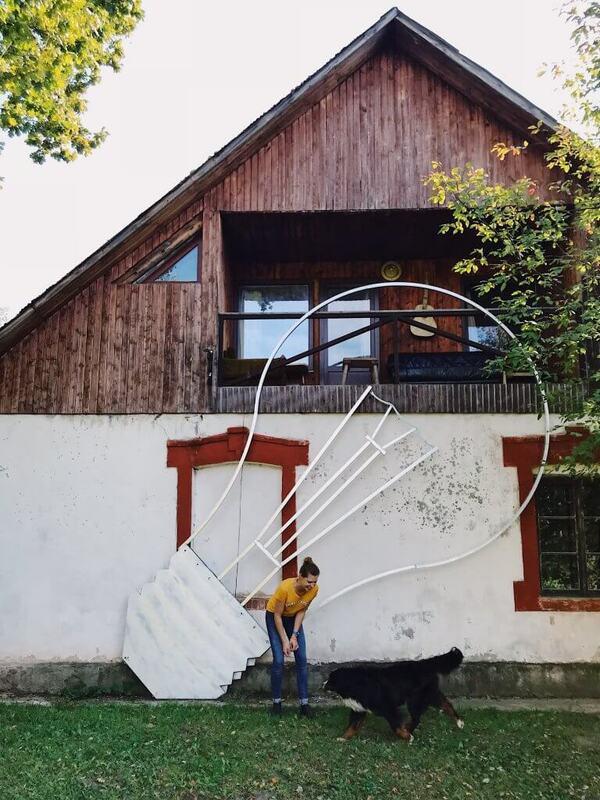 The other unusual personal connection, well at least from Sabrina’s perspective was that the original owner of Valmier Manor where the present day brewery is located was once owned by a certain Prince Peter August Friedrich who is from the same province Sabrina is from in Germany: Schleswig – Holstein. The manor, a gift that the prince received for his role in fighting in the war, soon gathered a reputation for being a hospitable place of refuge for travellers. Lying close to the highway from Paris to Petersburg, the manor became a popular haunt for several illustrious European Monarchs that included aristocratic luminaries such as King of Poland- Sigismund, the King of Sweden- Karl XII, the Queen of Prussia-Louise and the Empress of Russia- Catherine II. The informative tour of the brewery which lasts one and half hours gives you a nice overview of the history of the manor plus you can get an insight into their process of how they slowly brew their “live” beer from natural ingredients which includes their very own Valmiermuiža well water. The tour finishes with a generous tasting session in their very own tasting room. The normal tour costs €8 ( Monday to Wednesday) and €9 (Thursday to Sunday) and children upto the age of 6 go free. ( 6-12: €2) For an additional €2 you can sample one of their beer cocktails or their unique industrial strength malt liqueurs which are guaranteed to blow away a few cobwebs in your belly. Worth noting that the price for visitor groups of less than four persons is €32, so the more is merrier here. 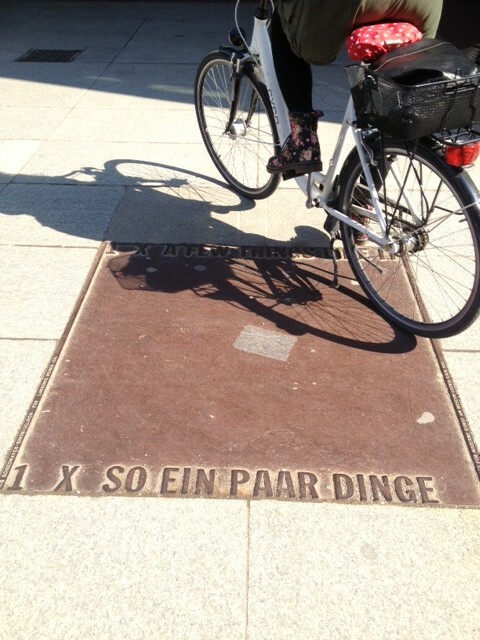 Tours can be conducted in Latvian, English or Russian. 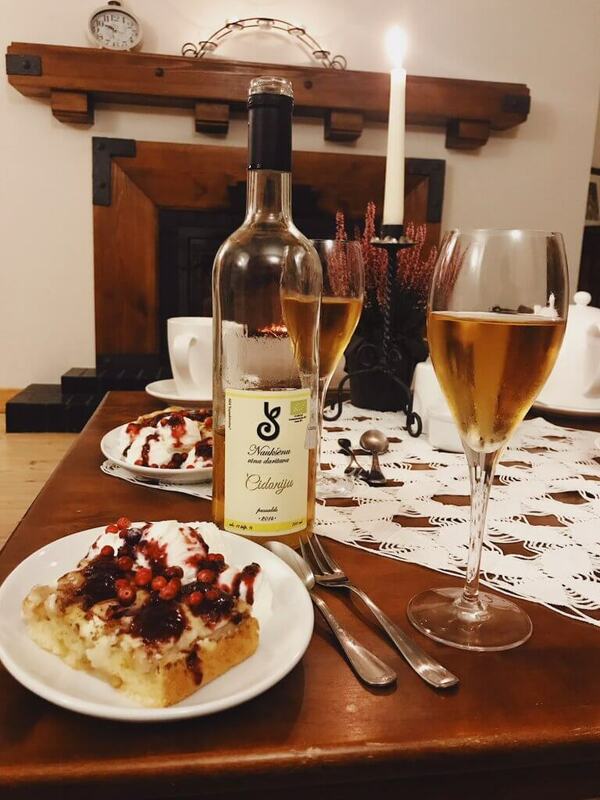 I didn’t have time but I recommend booking a meal in the beautiful old granary building next door which houses the popular Valmiermuižas alus Kitchen where visitors can enjoy modern Latvian Cuisine. Also worth noting if you are bringing the wee ones, by prior reservation, both the small and big kids can enjoy a ride on a horse or a pony in the Valmiermuiža park. 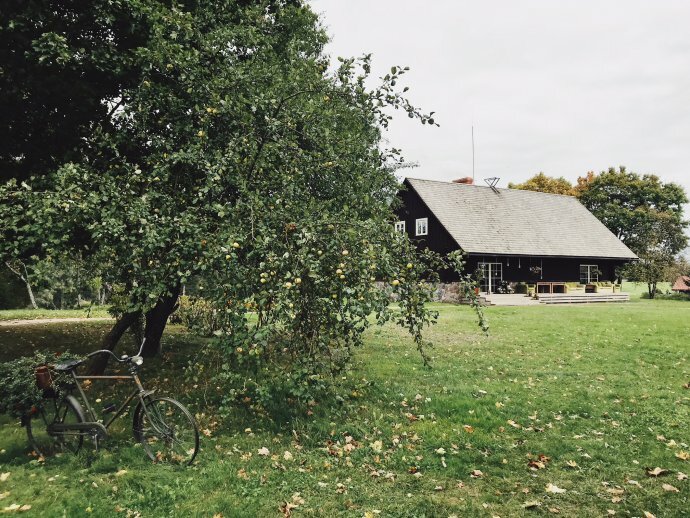 There is an educational tour of the Valmiermuiža horse stable available where you can learn about the everyday lives of the horses there, their perks and even the option of feeding them a healthy snack. 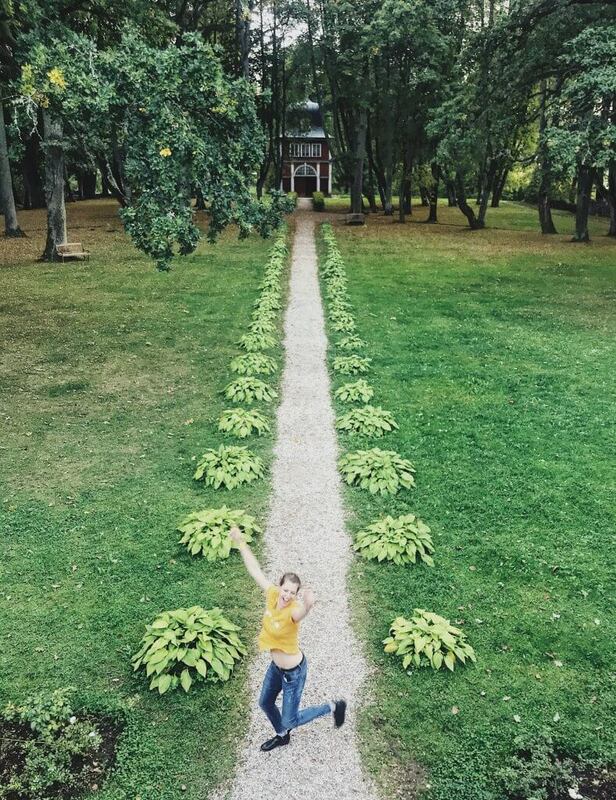 Lightheaded after all that delicious beer and malt liqueurs, Ieva then whisked us away to the fabulous Ungurmuiza Manor ( Pārgauja district, Raiskums parish, Ungurmuiža, LV-4146 )-the only Baroque-era wooden manor house still standing in Latvia. 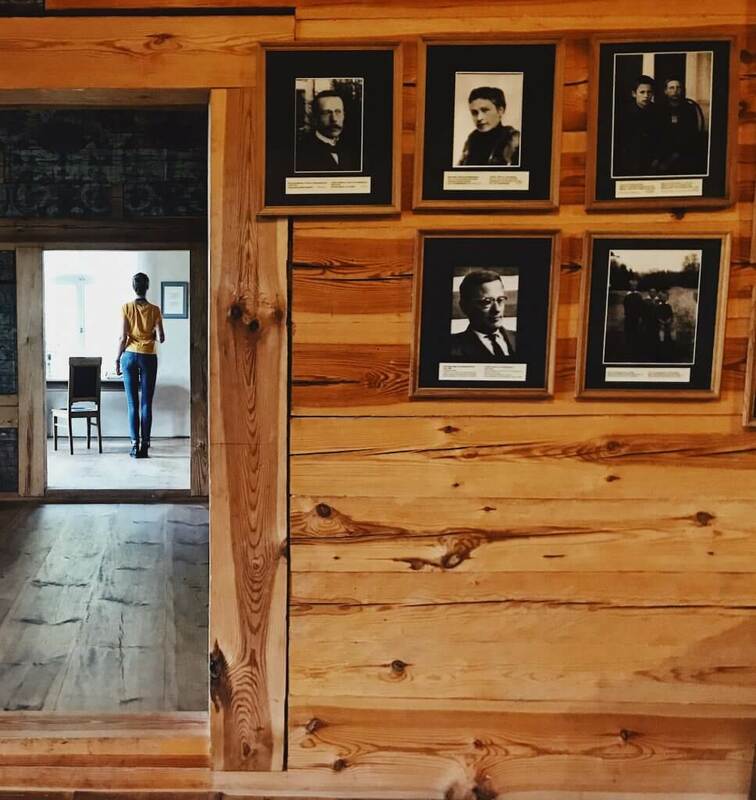 One of the distinctive features of our trip across Latvia is its love of wooden buildings, from homesteads to family homes to grand manor houses- wooden architecture was popular right until the second world war. On first sight Ungurmuiza Manor jumps straight out of some fairytale or Jane Austen novel with its beautiful 19th century wooden house that grandly looks onto a beautiful park with well kept grounds lined by towering oak trees. There’s a wonderful sense of isolation and solitude here that I also felt at Siltumnīca. Built in 1732 by Baron von Ungern as a family home, the Manor in the current day is popular as a venue for weddings-you have to go to the back of the manor to discover its coup de resistance: a park pavilion house , a unique and rare architectural feature from the 18th century. The pavilion, also called the Tea House was restored between 1974 and 1978. We had dinner at the manor’s onsite beautiful restaurant which serves hearty Latvian fare. 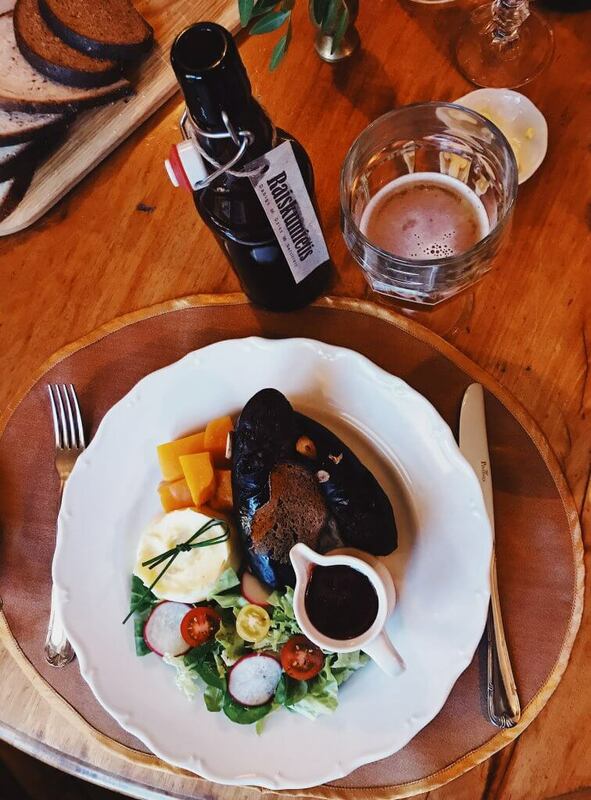 I enjoyed blood sausage with roasted pumpkin and a garden salad, washed down with a bottle of the local Raiskumietis beer. For the quality of fare and the beautiful setting the food prices here are incredible value with the average price of a three course dinner working out at roughly €30 per person which includes a beer or wine. After that, we wind our way back to Valmeira for evening drinks at Tautas Harmonijas Centrs ( 2a, Linarda Laicena iela, Valmiera, LV-4201 ) aka THC. This is probably the best place for beers in Valmeira and for listening to alternative music. 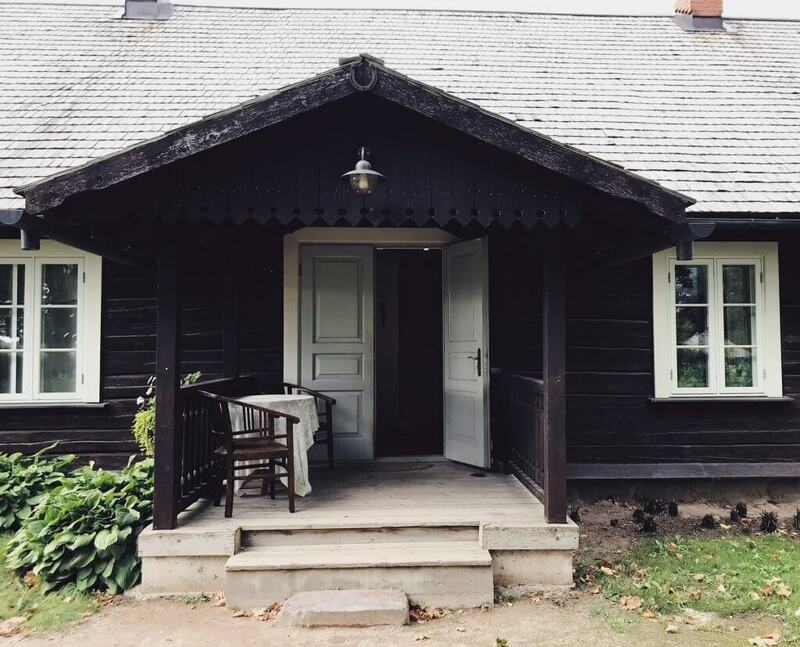 One of the standout features of the country house is that it has its very own onsite sauna so if you’re looking to experience a traditional Latvian sauna, this is the place. Its a bit different from a traditional Finnish sauna-lot more hotter so its important to alternate and cool down regularly. The sauna house had an ice cold plunge pool which I took a brief dip in- I much prefer a cold shower! After a few sessions of dipping in and out of the sauna, And a then came in and started gently swatted our bodies with a mix of birch, oak, linden, and juniper twigs. The smell of the forest mixing in with the heat and then the gentle exfoliation-it is quite an intoxicating combination. After a busy and pretty active trip through the Gauja National Park, this was the perfect place to finish our trip. I felt so relaxed after the sauna session. 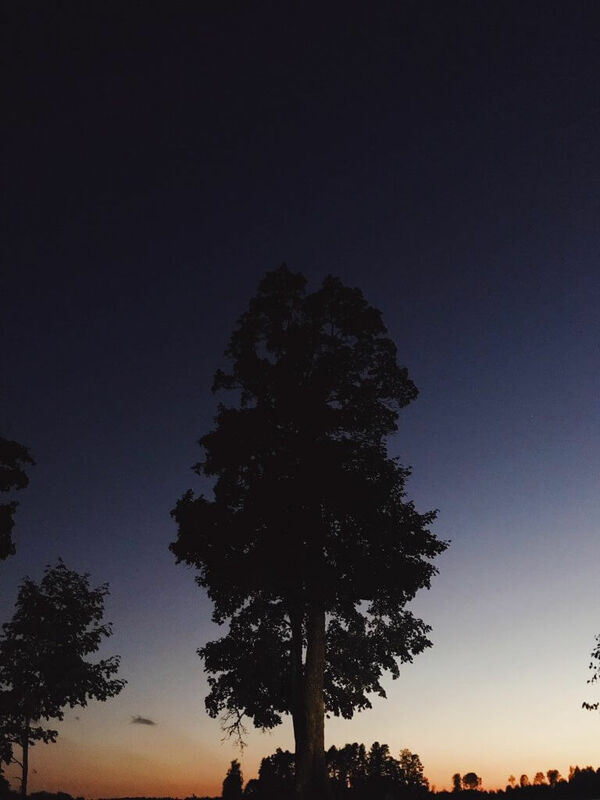 I remember stepping out into the cool evening breeze at around 8pm and looking at the fading horizon being swallowed by the thick blanket of darkness -it was one of those moments that will stay with me a long time. Dinner with drinks at the Lantus- delicious homemade food in front of a proper fireplace…so good! Anda also on request prepares an evening meal and breakfast at an extra cost -I highly recommend this. On the ground floor of our bedroom there is a cosy living room with a REAL fireplace. I don’t I can remember the last time I spent sitting on a sofa in front of crackling fireplace, book in hand and a filled wine glass within reach. As a BudgetTraveller, I don’t do luxury often but I really do appreciate it when circumstances allow. The food was beautifully prepared by Anda- both me and Sabrina were really humbled at the amount of effort that she put in to take care of us. If you really want a true taste of Latvian hospitality, I highly recommend visiting here. It is worth the splurge. Isolation. Solitude. Kindness. Amazing beer! I mentioned it earlier in the post. When I think of Valmiera, these are the words that come to my mind. You could apply these words to Latvia too but we definitely felt something special and magical about Valmiera. However , as with every memorable place you visit in the world, it probably always comes down to the people you meet.We met some lovely people. Starting with our magical guide to all things wonderful about Valmiera- Ieva G, Anda from Lantus , Ieva from Valmiermuiza, Iluta from Park of Senses and not forgetting Lelde and Baiba with whom we shared a few beers and travel stories in THC. 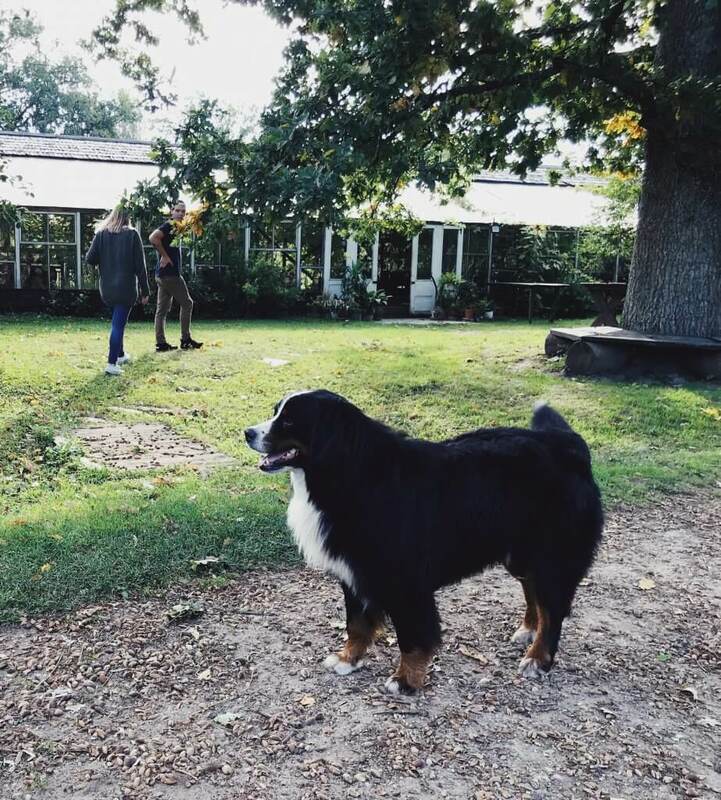 Thanks for the memories and sharing your home with us. We definitely will return soon. You can reach Valmiera by train from Riga -journey takes 1hour 55 minutes and costs around €5. By bus it takes 2 hour 15 minutes and journey costs around €4-€6. Price for 2 people booking a double room at the Park Of Senses is €42. If you are travelling solo,price is just €25. If you’re planning to stay at the Lantus Country House, price for rooms starts at €25 per adult, per night on a twin sharing basis. If you are bringing the kids, it is an additional €10 per per person. 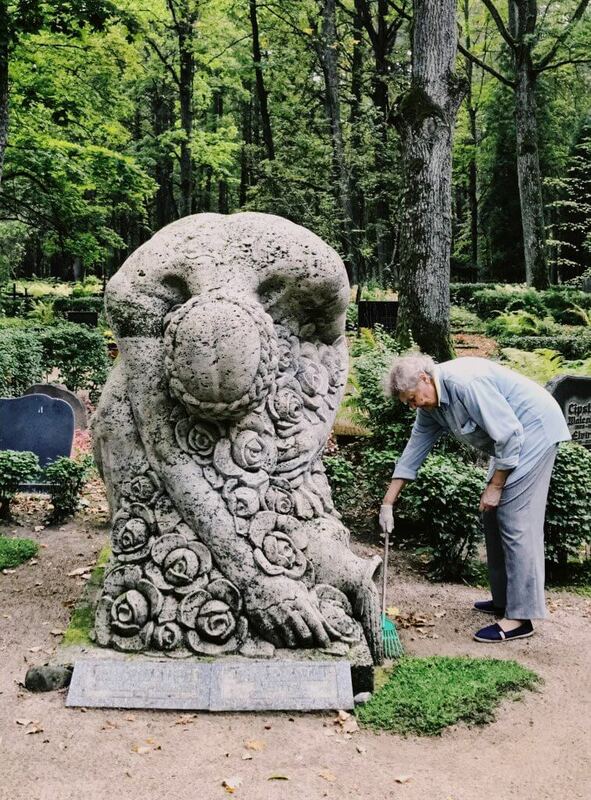 We visited Valmiera as part of a month long storytelling project with Magnetic Latvia (LIAA) While my trip was covered by LIAA, all the opinions expressed here are entirely my own. 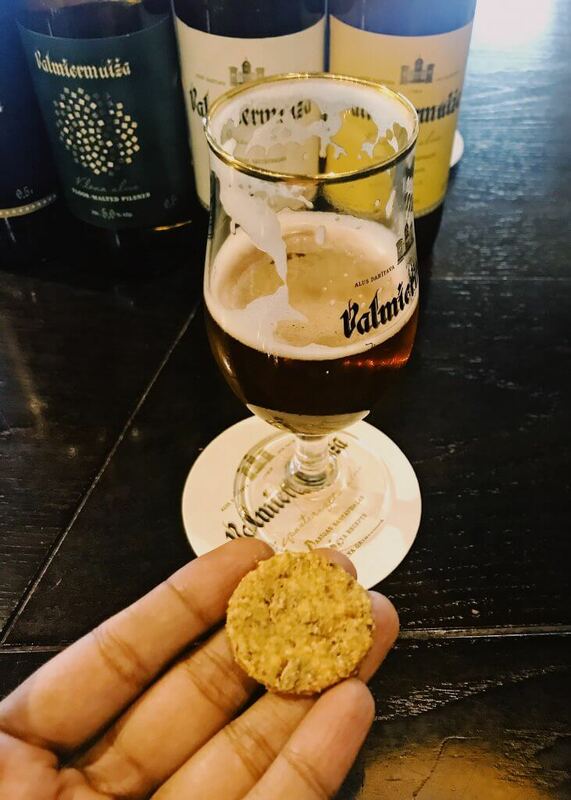 Paldies to Ieva , Vidzeme University, Valmiermuiza Brewery for showing us your city and to Lelde Benke for bringing us to Valmiera-we hope to return soon!